Are you planning a family vacation but thinking you might need a little extra support? Ask your nanny if they are able to join you on this adventure – whether it’s a short trip or a longer one, they may be able to assist you when you need it most. You want to make sure your trip is a good one though, so don’t rush into anything and be sure to review the details and itinerary with your nanny before firmly committing to your plans. Communicate expectations and boundaries ahead of time. You want to discuss who will be doing what and when, who will be dealing with discipline issues and such, don’t just expect things will fall into place on the trip. You want to have a successful parent/nanny team approach, so when you are on your trip – you are able to work together in harmony. 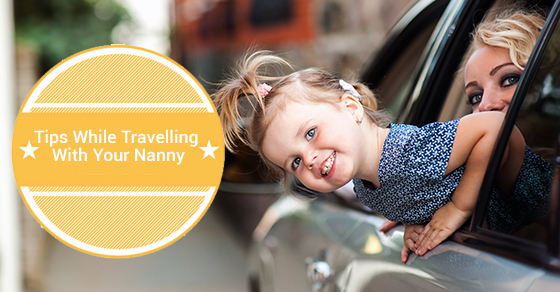 Make sure to schedule time for your nanny to explore the travel destination on their own. By letting your nanny explore the travel destination a bit and check out a new culture, you are helping to balance their schedule. It is also very important to give your nanny adequate downtime to relax and recharge. At the same time, even though this is a fun travel opportunity for you, the kids and the nanny, you and the nanny must recognize that it is still work for the nanny – not just a vacation. Give your nanny their privacy. When choosing accommodations, remember that even though you might be close with your nanny, you still need to provide adequate and appropriate space. It is best to provide them with a private room or a room shared with another nanny – it is important to maintain a certain level of professionalism. Additional Compensation. You and your nanny already have a set pay structure for regular working hours. You will want to have a conversation with your nanny about how you’ll handle their compensation during longer-than-usual work hours, helping with other children during the trip or doing chores outside of their normal responsibilities. For example, you should strongly consider adding a stipend to cover the cost of off-duty food. Don’t forget: if you find planning a family getaway stressful, it’s even more so for your nanny. If you’re enjoying yourself on the beach, your nanny is still working hard — and now her workplace just happens to be on the beach. In all the chaos, be considerate of your nanny’s work and compensate accordingly. We hope that you enjoy your next family vacation with your nanny! May your adventure be filled with joy, happiness and laughter.